Humana Company Information Is this your company? Add your own content to this page. 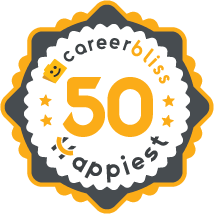 We've calculated that the average salary at Humana is $40K based on 1,519 user-submitted salaries A total of 108 Humana employees gave Humana an average happiness rating of 3.7 out of 5.0. 101 Customer Service Representatives from Humana submitted salaries. 1.4 I was at Humana for three weeks. I rocked my position, and I liked it despite the extremely high turn over rate. Contractors were being let go in record-blowing numbers. It seemed like every week we received emails that one or two contractors were let go and if they tried to gain access to their systems or into their building to contact security immediately, even though these contractors while working there served and posed no threat whatsoever while working there observed by their behaviors. They were extremely professional. I will say that whenever I asked for help I was immediately referred to the Knowledgebase articles and the Team Leads showed little interest in assisting me or others. Also, I seemed to be one of the only "oldest" contractors working their at their help desk because all of the other contractors were in their early 20's. We had a huge knowledgebase, very little help from Team Leads regarding protocol. They wanted you to find the information on your own, and if and when that was incorrect, they let you go. I was let go after only 3 weeks of employment and yet I was extremely good at providing professional, and courteous support. They receive only 1 star for a rating because If I could rate them a -1, I would. We're not robots and we shouldn't be ignored just because of our age, or the fact that were contractors. We're people, Humana. People. You treat your customers considerate, what if one day we are one of your customers? 3 Humana as a whole is a nice company with right policies and flexibility defined for employees to do their best work. The only bad thing is whether these policies are being followed fairly or not are not been monitored. Depending on department you are working in, your experience for working with Humana can be either hell or heaven. In my experience our department was having an unfair manager who would like to favor employees who are a** kissers. If you are in his favorite list you will enjoy all the benefits: great flexibility of working hours, working at home, even if you don’t have proper degree or skills or even if you don’t work you can still get better rating than person who is hard working with all proper skills. Favoritism is root cause of killing good culture. Nobody likes to be treated unfairly. We cannot expect fair work ethics from employees who are being treated unfairly. My advice to top management: if any department has high turnover of employee rate or more unhappy employees, then try to monitor the reason of their unhappiness. If employee joins the team, learn and master the project, take the training and then leave to another department, then it is a huge loss to company. Not everyone likes to move department to department if they are happy. This is the best company I love to work for. Still, I will have to leave it because of a bad manager I cannot tolerate anymore. Founded in 1961, Humana is a Fortune 100 company that markets, sells, and administers health insurance. Based in Louisville, Kentucky, it is registered as the largest (by revenue) Fortune 100 company headquartered in Kentucky. They employ approximately 29,000 people across the United States. Initially founded as a nursing home company in 1961, they expanded operations into purchasing and building hospitals, quickly becoming the largest hospital company in the world in the 1980s. In 1985, Humana created the Humana Heart Institute in Louisville, Kentucky, and accelerated the research into artificial hearts conducted by Dr. Robert Jarvis and Dr. William DeVries. By the 1990s, Humana moved into the realm of consumer health benefits, separating its hospital operations from its health insurance operations by creating Galen Healthcare, which then merged with Columbia/HCA. United Healthcare attempted to purchase Humana in 1998, but failed when it reported large financial losses into the upper hundreds of millions. Humana plays an active role in educating the public about healthcare. In 2006, Humana launched its Medicare Advantage education campaign, following the passing of the Medicare Modernization Act. In March of 2008, Fortune Magazine named Humana as one of the Top 5 Most Admired Healthcare Companies in the United States. In 2006, Humana started an online prescription home delivery business, called RightSourceRx, through which valid members can get a discount on 9- day prescriptions. Human also offers healthcare services to the military, acting as a support contractor. This company offers many advantages to its workers - as an employee, you have a variety of Humana benefits to choose from. From medical benefits, dental benefits, and life insurance, to healthcare spending accounts, Humana provides tools to tailor what serves you and your family best. Humana provides highly competitive salaries for its employees, as well as recognition pay based on good performance. This is designed to motivate and reward employees for their hard work. Humana careers, while at times can be demanding and challenging, provide excellent experience in the field of healthcare. Humana recognizes the fact that hard working employees want and/or require occasional time off from work, and offers many options for paid holidays, as well as short-term and long-term disabilities. In order to balance work with hobbies and interests, working at Humana includes the ability to take additional education courses and receive tuition reimbursement. Humana offers adoption assistance in the case of its employees seeking to become adoptive parents. Many career opportunities and learning opportunities are part of the Humana culture.